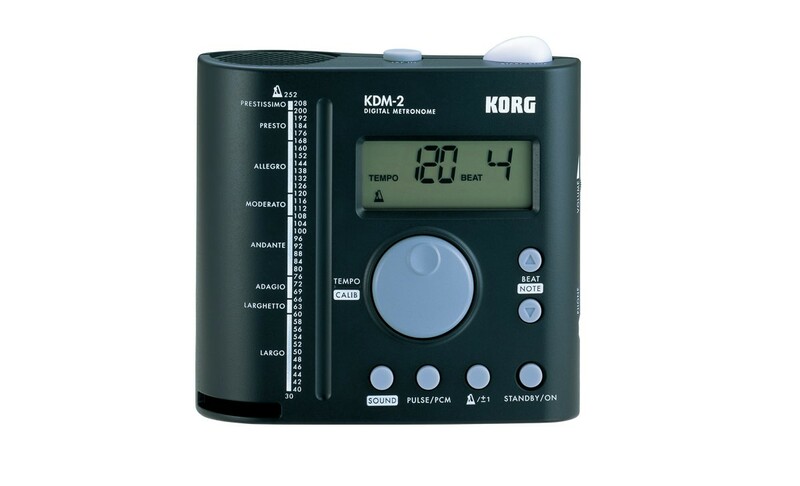 Korg Advances the Digital Metronome to a Whole New Level of Performance - The Korg KDM-2! 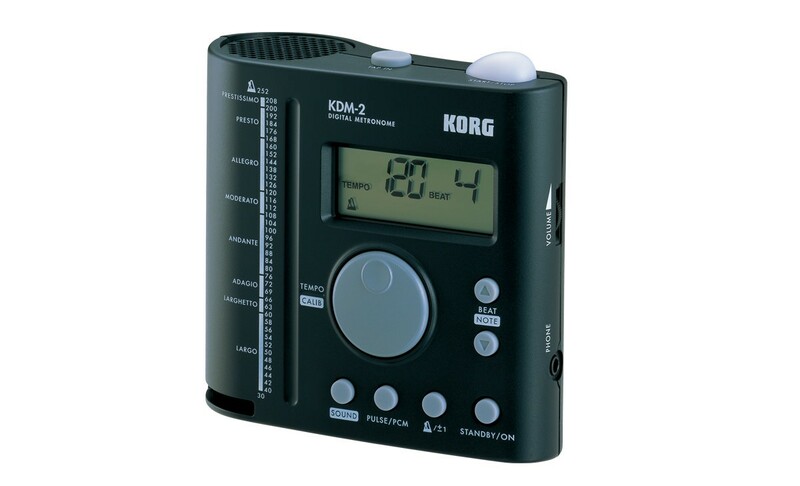 The Korg KDM-2 is an easy-to-use, electric metronome that visually marks the tempo with remarkable accuracy, and delivers a powerful sound like never before. Korg&apos;s acclaimed cylindrical speaker has been further enhanced with an improved resonator structure to ensure that it&apos;s easily heard. Even loud instruments won&apos;t overpower its unmistakable, clear sound. And with the KDM-2 you have a choice of 3 different PCM sounds (cowbell/agogo/clave) for the beat, so you can choose the sound that compliments the instrument you&apos;re playing. The volume can also be adjusted to the most appropriate level. Since there&apos;s a PHONE jack, you can connect a mini-plug (1/8") earphone for private practice. The START/STOP switch located on the top panel blinks in two colors - red and green - for an unmistakable visual indication of the tempo. It&apos;s a great feature if you want to practice with a silent metronome. From basic beats to variations like son clave and rumba clave, the KDM-2 contains a total of 19 beat patterns. You can set the tempo in any of three ways. Full Step mode that lets you adjust the tempo over a range of 30 through 252 in steps of one. Pendulum Step mode lets you set the tempo using the preset tempo settings, as on a mechanical metronome. And Tap Tempo lets you set the tempo by pressing the TAP switch at the desired interval. Sound Out mode outputs a reference tone that you can use as a tuning guide. You can listen to any of the twelve pitches from C4~B4. You can also adjust the A4 frequency (calibration) in a broad range from 410 Hz to 480 Hz. 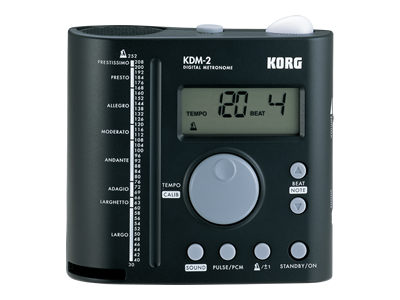 The KDM-2 provides a memory backup function that remembers the specified tempo, beat, calibration, and reference pitch even when the power is turned off. The large LCD screen makes it easy to view the settings. An encoder-type TEMPO/CALIB dial and a Step Select switch provide quick and direct access to settings and functions. Featuring an original design that&apos;s compact yet stable, the KDM-2 is at home on your desk, your piano, or anywhere else. The KDM-2 is designed for long battery life. It will continue marking an accurate tempo for approximately 120 hours of continuous use at a tempo of 120 beats per minute.